JOHNNY DEPP AND FIANCEE AMBER HEARD EXPECTING? Leukemia and Lymphoma are just two types of the many different blood cancers affecting thousands each year and celebrities are no exception. 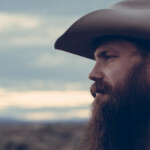 You can support Hall, Wagner and the thousands of victims suffering from the disease on May 7th! join the fight against the deadly disease with United Mavericks for the annual Night on the Town fundraiser in Mineola, New York. The annual fundraiser created by Harry Zapiti and Tony Lubrano has raised more than 500k over the past decade. This season, all the event proceeds will benefit the Leukemia & Lymphoma Society! ITM’s very own host, Gina Giordan is the Emcee for the big event, along with special guests Donna Vivino, formerly of the Broadway show, “Wicked” and New York’s Most Dangerous Big Band with Ed Decorsia. The event will honor Senator Jack Martins and Michael Costa. Guests will enjoy live entertainment and feast on five star cuisine from some of the finest restaurants in New York including: Bocco, Eleanor Rigby’s, Major’s Steakhouse, Piccolo’s, Vincent’s Clam Bar, Vinoco, and many more! 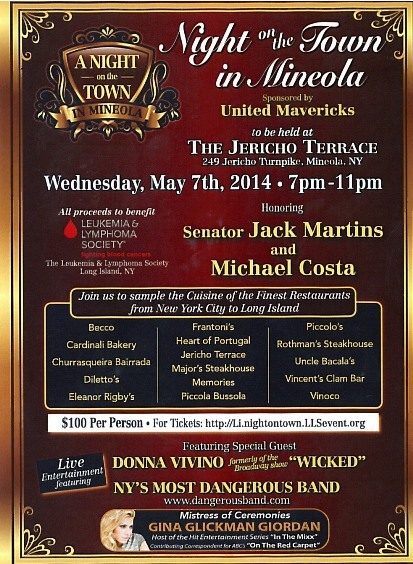 “Night on the Town” benefits the Leukemia & Lymphoma Society, will be held at The Jericho Terrace in Mineola, New York on Wednesday, May 7th from 7:00pm-11:00pm. Join Giordan, Zapiti, Lubrano and friends in the fight against L&L! Tickets are $100 per person and can be purchased here! Be sure to tune into ITM’s latest series, “Movies You Wanna Watch” later this month on WE TV!